A young woman is dead. The main suspect is in custody. And Private Investigator Lexi Graves is on the warpath. Lexi finally feels like her life is on track. With a great job that is made to measure and the perfect boyfriend, it takes all of a few shocking minutes for everything to start falling apart. 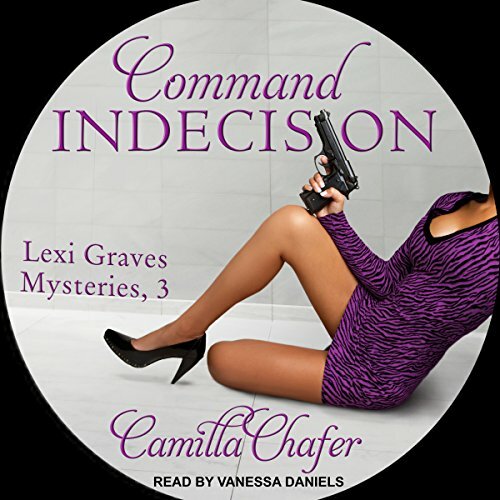 Angry and hurt at her boyfriend, Detective Adam Maddox, and his apparent betrayal, Lexi embarks on an undercover job at a nearby military base. Charged with finding evidence that the man accused of killing the young civilian employee isn't the real murderer, Lexi just hopes to lose herself in the case. She wants to put the past behind her and heal her broken heart. As clues point towards the victim's dangerous double life, the secrets mount, and time is running out. With Maddox's betrayal not all it seemed, it's up to Lexi to learn the truth, and put the real murderer behind bars.